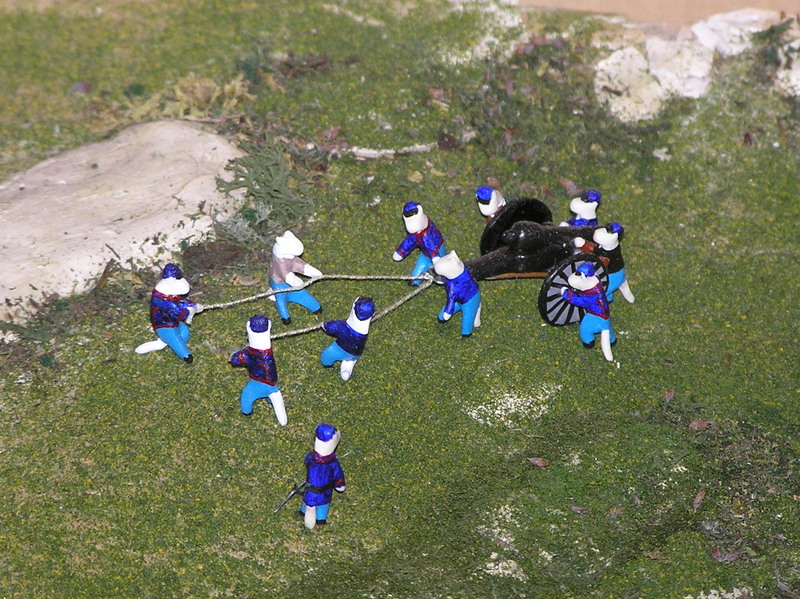 One unique feature of our dioramas is that we have hand-made all of the miniature soldiers and most of the other items. The last time we checked, we had made over 80% of our horses. Various features of the dioramas include stone walls (yes, those are individual stones in the wall on “The Fate of Gettysburg”! ), fences, trees, and rocks (there are 2,600 rocks on “The Boys Are Still There,” modeled from period and modern photographs of Little Round Top). We also make equipment and accessories such as artillery, locomotives (the General and the Texas, for the Great Locomotive Chase), and the Leister house at Gettysburg. Other items were made as visual aids for lessons we have taught on the Civil War, including Prof. Lowe’s observation balloon Intrepid. We’ve also made the USS Housatonic (sunk by the submarine CSS Hunley) and the ironclads CSS Virginia and USS Monitor. 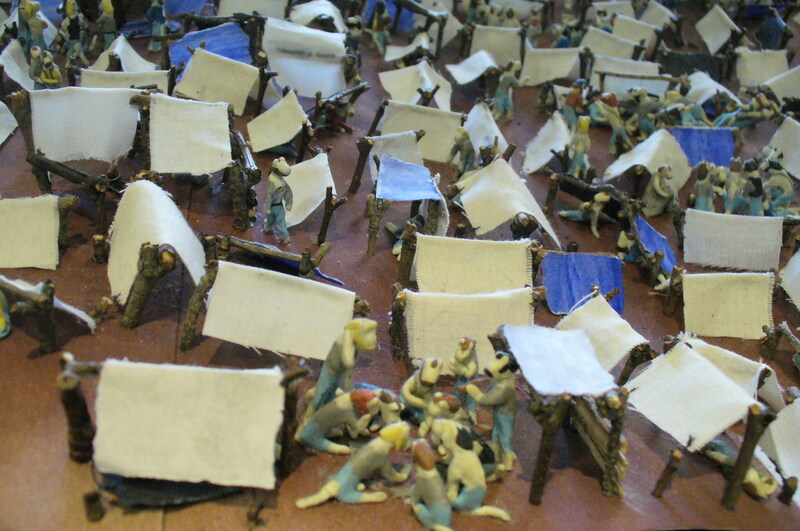 While many of our dioramas are in storage, we hope to bring them out over the coming years as they are made ready. And, of course, we will continue to be inspired by new stories we read to make entirely new dioramas! Hauling the cannons up onto Devil’s Den by hand.